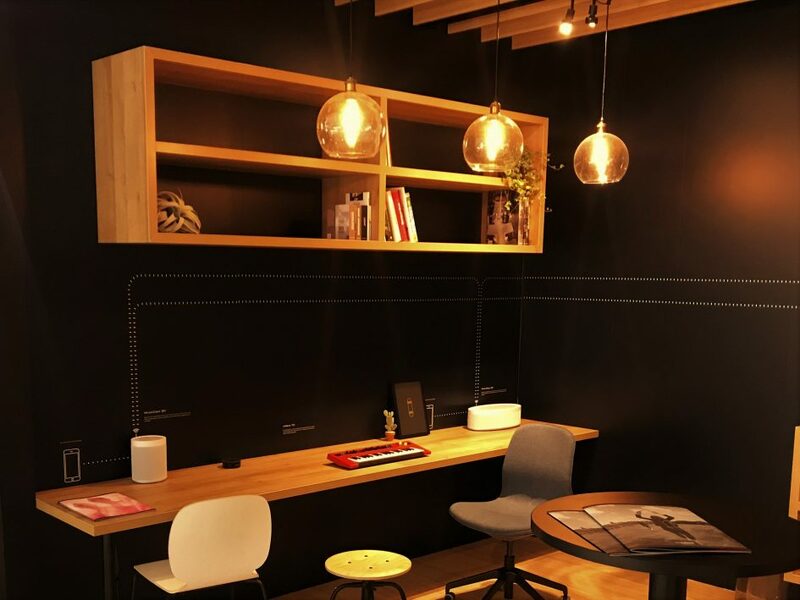 With the continuing rise of smart homes and its appeal to consumers, booths at this year’s IFA 2018 were turned into cozy spaces that invited visitors to indulge in the benefits of smart home. This is a short summary of what we (the nello Team) think are the most inspiring booths and interesting findings at this year’s IFA. 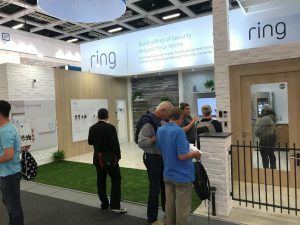 Ring, the creator of smart doorbells and security cameras, turned their booth into a gated house. When you entered the gate and house, you could control all the products from the inside. Although a lot of cool new products have been added to the portfolio, we still love the doorbell the most. 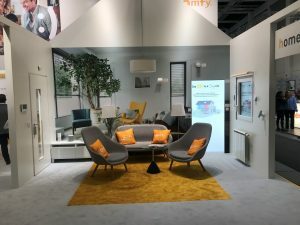 Somfy turned their booth into a living room packed with all the smart home products Somfy offers, now including their new smart lock. Their new smart lock with a bridge is currently being launched in Germany and will allow Somfy customers to remote control their door wherever they are. This year, Yale went on a mission to “push” their smart lock ENTR. To do so they put a person in a costume of a smart lock. Unfortunately a bridge for the smart lock was not shown on the stand. Google didn’t have its own booth at IFA. Instead, they provided every brand that has a product that works with Google, with a dedicated Google Assistant. Very cool idea and very visible as almost every stand was equipped with an assistant dressed all in white. Aside from a keynote speech, Amazon was unfortunately absent. Lastly, we were impressed by the décor and attention for detail at this booth. 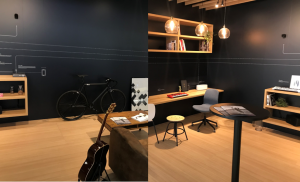 Their chillout and work places looked like WeWork areas which allowed us to take a break. The only thing missing was a brand and relevant products for IFA.